With the U.S government shutdown and the U.K’s Brexit standoff ongoing, coupled with the drawn-out Sino-U.S trade situation, there are enough reasons in play for investor market caution. Overnight, the demand for risk assets has taken a step back again, with global equities trading under pressure ahead of the North America session on investor concerns of rising tensions between the world’s two largest economies, U.S and China. Some of this negativity has been offset by a better than expected start to the U.S earnings season. In equities, Banks led the decline on disappointing trading revenues, while tech shares sentiment was dinged on news that U.S prosecutors are investigating China’s Huawei Technologies for corporate espionage. The ‘big’ dollar has edged a tad higher against G10 currency pairs along with the yen (¥108.77), while U.S treasuries and European sovereign bonds are better bid ahead of the U.S open. Sterling (£1.2871) has been relatively quiet, as the odds of a ‘soft-Brexit’ have risen again now that PM Theresa May narrowly survived a “no” confidence vote held yesterday – if there was a general election, the likelihood of a ‘no-deal’ Brexit would have risen. On tap: U.S ADP non-farm employment change and Philly Fed manufacturing (08:30 am EDT). In Japan, the Nikkei eased overnight, reversing earlier gains, as investors remained concerned about the global economy and trade war tensions. The Nikkei share average closed down -0.2% after its intraday bounce towards a new four-week high. The broader Topix retained its initial gains to end the day up +0.35% on speculation that next weeks Bank of Japan (BoJ) monetary policy meeting could consider changing the composition of its ETF purchases with heavier emphasis on the Topix. Down-under, Aussie stocks closed at two-month highs, supported by stronger materials and energy stocks. The S&P/ASX 200 index rallied +0.26% for its third consecutive session of gains – it had rallied +0.4% in the previous session. In S. Korea, the Kospi stock index traded steady with no new risks, while Brexit uncertainties remained and Beijing plans to inject more cash into its financial system. At the close, the index was +0.05% higher. In China, stocks ended weaker overnight on signs of sluggish economic growth and as Chinese Premier Li forecasted a “rigid year ahead.” At the close, the Shanghai Composite index was down -0.4%, while China’s blue-chip CSI300 index ended down -0.6%. In Hong Kong, the Hang Seng Index closed lower by -0.7%. Note: To avert a cash crunch, the People’s Bank of China (PBoC) injected a net +$83B into their financial system on Wednesday, and added ¥380B more yuan overnight. 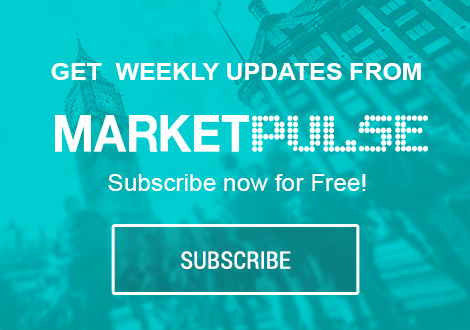 In Europe, regional bourses trade mostly lower with the DAX underperforming on Chinese growth fears, while in the U.K, the FTSE is under pressure despite PM May winning a ‘no’ confidence vote – Brexit uncertainty continues to weigh on sentiment. U.S stocks are set to open in the red (-0.39%). Oil prices are under pressure as U.S crude production nears +12M bpd. Not helping are market concerns about weakening global demand. U.S. West Texas Intermediate (WTI) crude futures are at +$51.92 per barrel, down -39c, or -0.8% from Wednesday’s close, while Brent crude oil futures are down -37c, or -0.6%, at +$60.95 per barrel. EIA data this week showed that American crude oil production reached a record +11.9M bpd in the week ending Jan. 11, up from +11.7M bpd last week, which was already the highest national output in the world. Note: U.S production y/y has increased by +2.4M bpd since Jan 2018 and fuelling market fears of a supply glut. The EIA also said gas stockpiles climbed +7.5M barrels last week, easily beating market expectations for a +2.8Mbarrel gain. At +255.6M barrels, gas stocks are at their highest weekly level in two-years. Along with the surge in U.S crude output, exports stateside are also rising, hitting a record +3.2M bpd by the end of 2018. To stem this U.S supply glut, OPEC+ is leading the efforts to cut global supply and with that support crude oil prices. In precious metals overnight, the markets focus was on palladium as it hit a new record high, driven by falling supplies and a growing demand for the auto catalyst metal, while gold prices stood firm on expectations that the Fed would pause further interest rate hikes. Spot palladium is up +0.1% at +$1,360, after hitting an intraday record high at +$1,366.50. Spot gold is steady at +$1,293.36 per ounce, while U.S gold futures are firm at +$1,293 per ounce. Note: Palladium has rallied +60% since mid-August. Eurozone bond yields are a tad lower ahead of the U.S open, as dealers	continue to assess the outlook for the U.K, and while the U.S shutdown fails to provide much direction. Germany’s 10-year government Bund yield is -1.6 bps lower at +0.207% while other sovereign 10-year bond yields in the region have fallen around -2 bps. An outlier is Italian BTP’s – the Italian five-year BTP continues to outperform following Italy’s successful 15-year bond sale, which prompted a follow-on rally in Italian government bonds. The five-year note fell -13.5 bps Wednesday, its biggest one-day fall in over a month. Elsewhere, the yield on 10-year Treasuries fell -2 bps to +2.70%, while in the U.K, the 10-year Gilt yield has dipped -2 bps to +1.293%. After her narrow ‘no-confidence’ win Wednesday, PM May has been reaching out to all parties. However, both the Labour and the Lib-Dem’s both indicated that they would not meet unless PM May commits to removing the possibility of a “no-deal” outcome. E.U officials are said to be examining plans to delay Brexit until 2020. Note: U.K PM May survives “no-confidence” vote in Parliament (as expected); Vote 325 for May and 306 against. Northern Ireland’s DUP voted in favour of May, as promised (10 votes). GBP/USD (£1.2875) is trading steady and is expected to be ‘quiet’ for the remainder of the week as the chances of a “soft Brexit” have increased somewhat. Expect things to kick off again next Monday (Jan 21), when PM May is due to announce what she is likely to do next. EUR/USD (€1.1398) appears to be locked in a €1.13-1.15 range for the time being and caught between the Fed’s recent ‘dovish’ rhetoric of reaffirmed patience and on concerns that the Eurozone might slip into a technical recession. Risk aversion is helping the JPY, which is a tad firmer with USD/JPY lower by -0.3% at ¥108.75. Eurostat data this morning showed that the euro area (19 members) annual inflation rate was +1.6% in December 2018, down from +1.9% in November. A year earlier, the rate was +1.4%. European Union (28 members) annual inflation was +1.7% in December 2018, down from +2.0% in November. A year earlier, the rate was +1.7%. Digging deeper, the lowest annual rates were registered in Greece and Portugal (both +0.6%) and Denmark (+0.7%). The highest annual rates were recorded in Estonia (+3.3%), Romania (+3.0%) and Hungary (+2.8%). Note: Y/Y, annual inflation fell in twenty-two member states, remained stable in three and rose in three. In December 2018, the highest contribution to the annual euro area inflation rate came from services (+0.58%), followed by energy (+0.53%), food, alcohol & tobacco (+0.34%) and non-energy industrial goods (+0.12%).